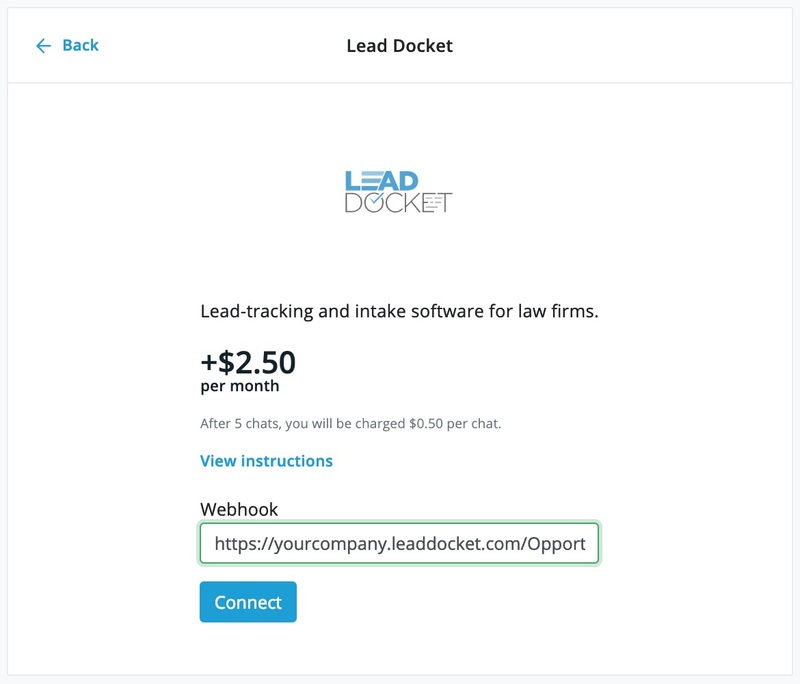 Smith.ai Live Chat now integrates with Lead Docket, a straightforward lead-tracking and intake software for law firms. 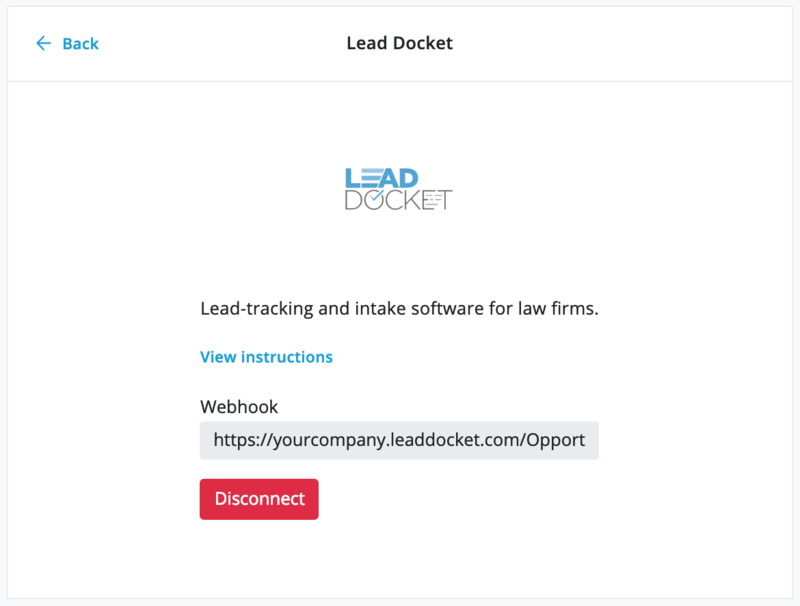 Lead Docket helps law firms organize leads and calculate the ROI and effectiveness of their marketing efforts. Now, use this integration to keep track of information gathered during website chats. When you integrate your Smith.ai Live Chat account with your Lead Docket account, web visitor information (like email, address, and phone number) and chat transcripts are added as new contacts in Lead Docket. From there, you can move the contact through workflows, provide timely follow-up, and have what you need for an in-depth consultation. 1. Sign in to your Smith.ai Live Chat account and navigate to Integrations. 2. Click on Lead Docket. 3. You will be notified of the integration cost ($.50 per chat, starting at $2.50/mo). 4. At this point, you will need to reach out to your Lead Docket account manager to ask them for your Smith.ai webhook integration URL. 5. Enter the URL into the webhook field and click connect. That’s it! You will now start receiving Live Chat data in your Lead Docket account. You will see a green popup that lets you know your integration has connected successfully. 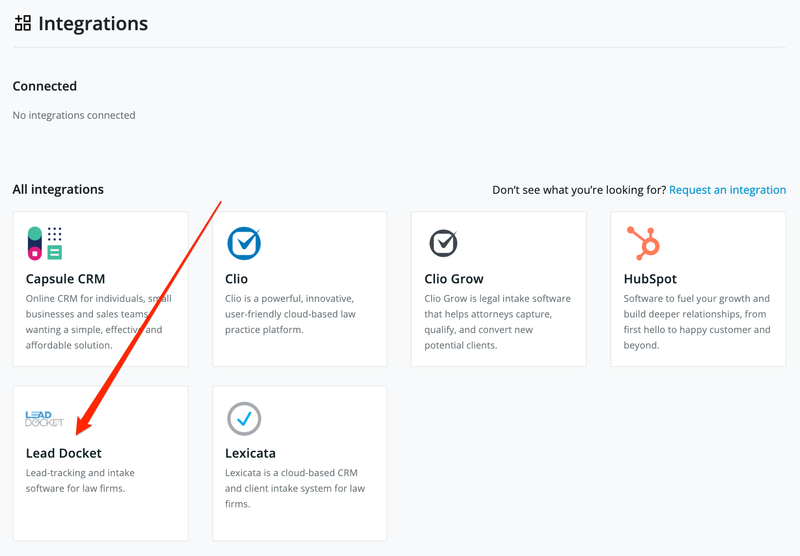 And you will see that Lead Docket is connected on the Integrations page of your dashboard. Do you love integrations? Check out our list of active integrations, and see how they might work within your small business’s workflow. If you don't see the software you currently use, request a new integration here. If you are having any issues with this integration or anything else, please email us at support@smith.ai. Our Smith.ai support staff is available Monday through Friday, 5am – 6pm PT / 8am – 9pm ET.